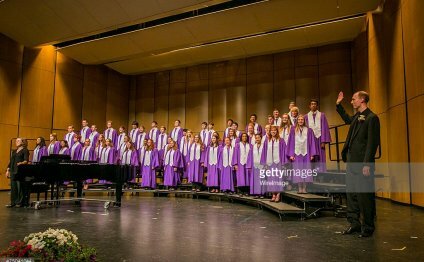 Pioneer Choir Camp is held at the Interlochen Center for the Arts in Interlochen, Michigan, and any current or prospective member of the Pioneer Choirs is encouraged to attend. Choir Camp is an exciting opportunity for students from all grade levels and ensembles to join and work together. Over the course of a single week, students heighten musicianship, improve leadership skills, and develop lifelong friendships. The week together is invaluable in building an esprit de corps that is vital to presenting expressive, exciting, and engaging performances. Senior members of the choir plan evening social activities and serve as mentors for new members, helping them get acclimated to the Pioneer High School and the choir program. Students stay in cabins that are a mixture of freshmen, sophomores, juniors, and seniors from each choir. When the school year begins, new students know a large contingent of the student population, easing their transition to high school. To register for Choir Camp, please register online (Google Doc), complete the forms listed below, attach payment (paid in full, initial deposit, or payment plan) and submit to Mr. Lorenz. In order to notify Interlochen of our expected enrollment, forms and payment must be submitted by . Forms and payment can be returned directly to Mr. Lorenz at Pioneer or mailed to Pioneer High School. A limited number of openings may be available after the registration deadline.